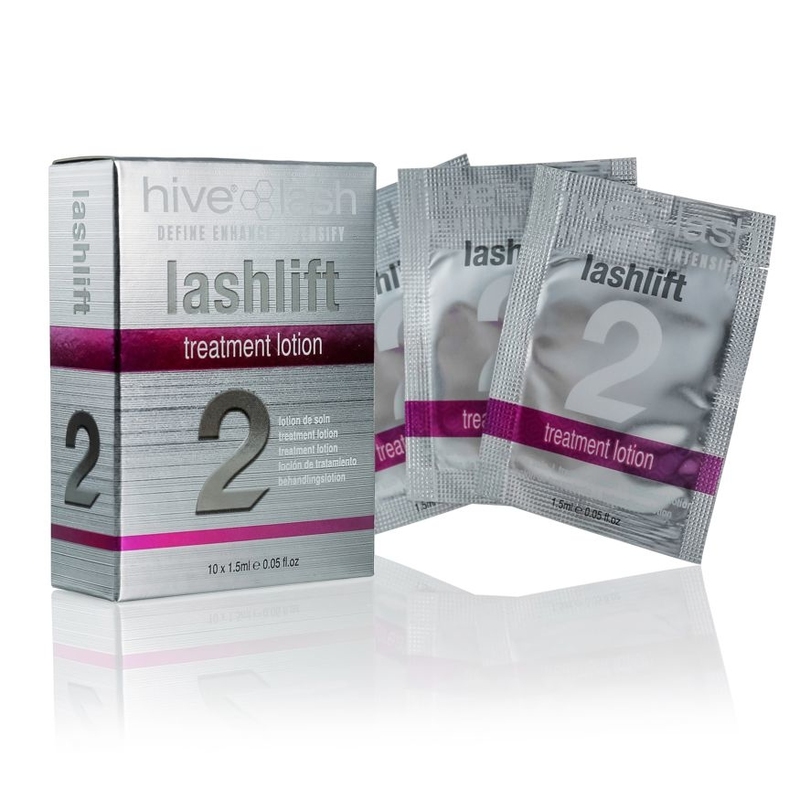 Got a question about this Hive Lashlift Treatment Lotion? Step 2: HIVE® Lash Treatment Lotion - Helps lashes secure that star quality! Maintain, fix and hold the perfectly positioned and re-shaped lashes with HIVE Lash Treatment Lotion (2). The smooth, silky lotion is applied to the same area as HIVE® Lash Lifting Crème (1) restoring the disulphide bonds in the expertly crafted new shape.